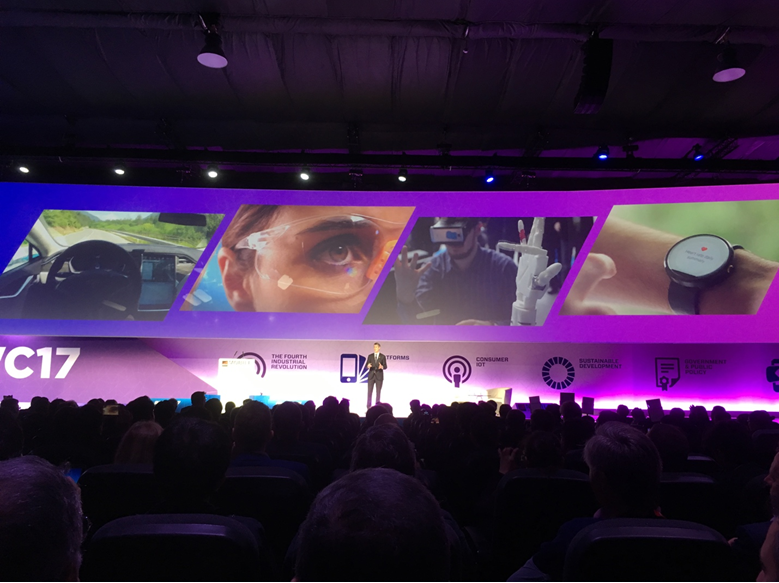 I attended three days of the GSMA Mobile World Congress (MWC) in Barcelona between 27th February and 2nd March, 2017. The main theme of the event was the “Next element”, a concept encapsulating the role that mobile technology has in powering the 4th industrial revolution. An ambitious and impressive theme, to say the least! This is very much part of an ongoing trend. Whereas traditionally, the MWC used to focus only on developments in the Telecom- and Mobile Hardware Industry, the latest few editions have had a much broader scope. This year’s event offered a diverse collection of keynotes, deep dives, networking sessions as well as a number of very impressive show cases by the many exhibitors in the conference halls. It also had some of the industry’s biggest leaders, innovators and thinkers coming together to explore how mobile technology is going to be the driving force behind many upcoming innovations. A number of predictions were made- not only about the Telecom Industry but also about how innovations would impact our societies in the years to come. Advent of 5G: 5G networks are going to be a reality, and it might happen sooner than you think. Today, 8bn connections Worldwide, and 41% of all subscriptions are covered by 4G networks. Despite the fact that 4G does not have a 100% coverage, it is still likely to be supplanted by 5G technologies starting within a few years from now. The advantages of this are obvious. To begin with 5G is capable of enabling 1 Gbps internet speed with a latency of just 10 milliseconds. This means that 5G provides users the same kind of experience and speed as expected from home/office broadband based on a fixed-line glass fiber network. Not only does 5G technology allow for higher data consumption but also for more connections per square kilometer. This is important, because in the near future we are going to see many more connected devices than is the case now. However, operators still have a long way to go in making 5G a reality. It seems that most 5G networks will first be rolling out in South Korea and Japan. Operators acting in the Asian markets are in a position to straight away pick up and invest in 5G technologies as they become available. In a sense these markets are leapfrogging technologies and moving directly to 5G without the intervening investments and commitment made to 4G/LTE and fixed line infrastructures. What could slow down the adoption of 5G is the lack of 5G compatible handsets. So even though 5G trials are taking place in US and Europe at the moment, a wider 5G rollout might have to wait till 2020 when the first 5G handsets will be available. 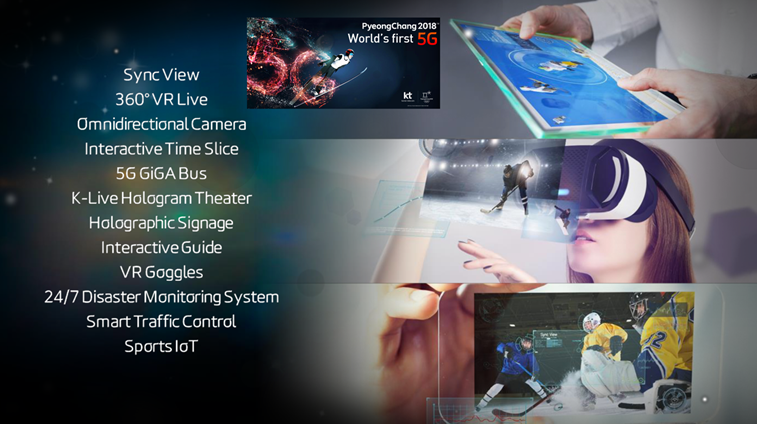 In this context, the upcoming 2018 and 2020 Olympics in S. Korea and Japan are likely to be crucial, as we will see the first 5G use cases during the events. A number of companies are already making the investments and planning to use the event as a showcase as well as a test case for these new technologies. For example, the CEO of Korea Telecom talked about investments being made which will allow viewers to experience the 2018 Olympics on an epic scale, supported by Virtual Reality, Smart Camera – and new streaming technologies. To deliver this sort of an experience you need mobile broadband connections and this, in particular is driving some of the first 5G investments in Japan and South Korea. The rise of platform-based services: One of the challenges being faced by the Telecom industry today is that of stagnating revenues and this was a topic that came up often in conversations at the Mobile World Congress. Equally, another big trend everyone was talking about was the rise of platform-based services. In today’s challenging environment, more and more operators, in order to provide greater value, are transforming from connectivity providers to platform providers. Market leading operator Telefonica in Spain has teamed up with Microsoft to create cognitive intelligence as part of their platform. They have created a service named AURA which is a voice-enabled assistant, that consumers can interact with using natural language. According to Telefonica, AURA not only answers queries but also performs tasks. AURA API’s can be integrated with hardware such as Amazon Alexa and used to control media and content services inside homes. Content is (still) king: With the rise of content- and streaming services like Netflix (Reed Hastings was interviewed in one of the keynotes), Amazon Prime and Google Youtube Premium it is clear that Internet TV has become a competitive field. Operators are looking for new business models around content. Investments in software and platform development and mergers with content providers are key here. In this sense the AT&T merger with Time Warner in the US is a game changer since the organization is moving into direct-to-consumer solutions. Following this acquisition, AT&T has become the largest PayTV operator in the US, a situation where their operating network capabilities are converging with their content capabilities. We see this same trend of consolidation and convergence in Europe where content providers are merging with mobile operators. For instance, in the Netherlands, one of the bigger ISP’s called Ziggo is working together with Vodafone to offer mobile subscriptions thus allowing consumers to access their entertainment as well as data needs through a single bill. Ziggo has bought the rights to broadcast the Formula 1 races and in this way, adds value with exclusive content. This kind of convergence is re-defining the involved industries as we know them. Meanwhile, Governments and regulators are tracking developments closely as there are concerns that such mergers could lead to monopolies in certain regions. 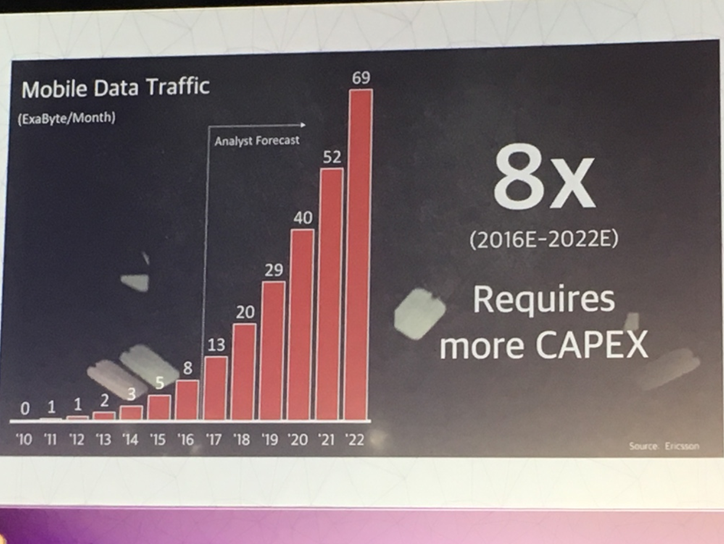 Ubiquitous network access by leveraging satellite back-haul: Another interesting theme that was discussed at the Mobile World Congress was the possibility of providing ubiquitous coverage with the help of satellite back-haul. 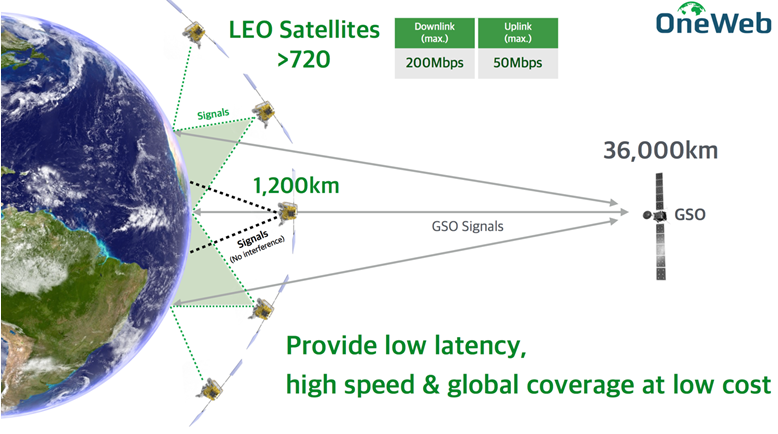 SoftBank Japan is heavily investing in the emerging network company called OneWeb Wireless. Today, the situation is that over half the world is not connected to the internet and is left without access to the networks we depend on. However, OneWeb technology will integrate satellite back-haul capabilities with terrestrial networks to extend 3G, 4G, LTE and even WIFI services to these under-served areas, allowing 100% connectivity and coverage. Going by the keynotes, I expect to see the airline, shipping and automotive industries (think about the connected car) already leveraging these kinds of networks by 2019. The first 10 OneWeb satellites are due for launch in early 2018. Innovations that have been the result of investments from the Telecom Industry should be thought of as completely new frontiers for technology which will bring about wide-ranging changes in society as we know it. But this industry will not keep on acting independently. For instance, a large European operator has calculated that the costs to build a 5G network that can support the needs of a connected car to be enormous and that is why collaborations with governments and other industries are preliminary. To conclude, I have been working in the mobile industry since 2000, when we saw the rise of SMS as the first killer app for mobile operators. Over this whole time, I have seen a continuous shift in technologies and applications, eco-systems and most importantly in the possibilities enabled by these mobile technologies. It might be too early to say that the 4th industrial revolution has started but we sure stand on the verge of another such technological leap which will unlock innovations for the near future. Can Xamarin and Azure Cognitive Services Improve Daily Work of a Surgeon? IoTFriday E42 | Smart building compatibility. One app for all?